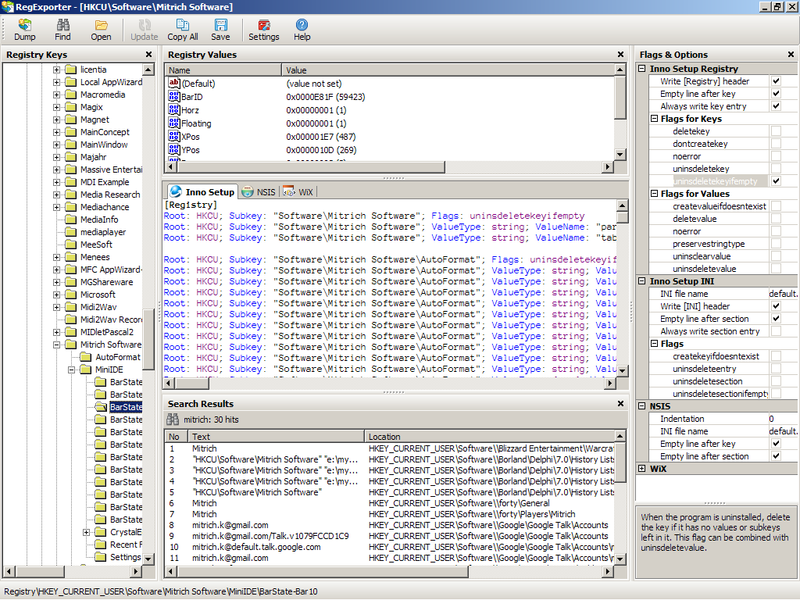 RegExporter is an utility for converting .reg files, .ini files and registry keys to Inno Setup/NSIS/WiX installation scripts, with GUI and command-line interface. Thank you… This is the best. the import quality is really terrible. maybe you should try import/export some real registry and see how many are different. however it is still a useful software. Your software fails to import basic .reg into format for inno. Waste of time. The .reg files are imported correctly by windows.